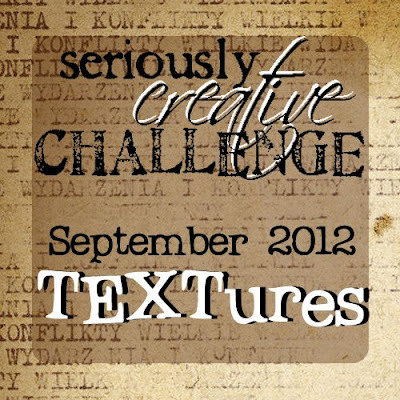 Introducing our September Seriously Creative Challenge: TEXTures! 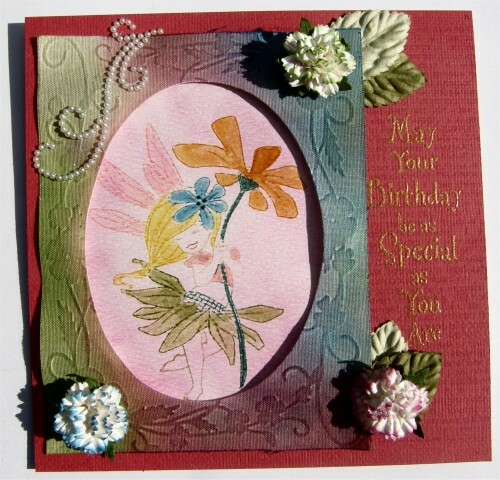 Create a project that includes a book print/text pattern and at least one textural or dimensional (non paper) element. Since September starts with a long weekend (yay!) we'll be bringing you lots of inspiration later on... but here's a bit to start with! Roxy made this perfectly grungy layout about her dog's bad habits- it's full of book print and texture! Janet put together this sweet card using a new in the store stamp from Sweet Pea Stamp- the text element is beautifully subtle in the background! 3/4 of the projects Tara & Julie made for our September SOTM sample fit this challenge perfectly as well! 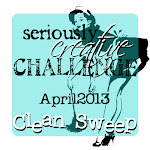 Check them out on our other blog! Besides the fun of it? Our random winner this month will take home a surprise 6x6 pad of paper that includes at least one text print patten and a $10 gift certificate for the online store! This is for Roxy...That is one clever layout. Your pup is really a sweetie, judging by that picture. I cracked up when I enlarged it to look at it better. Pieces of the Ottoman, etc. Very funny!